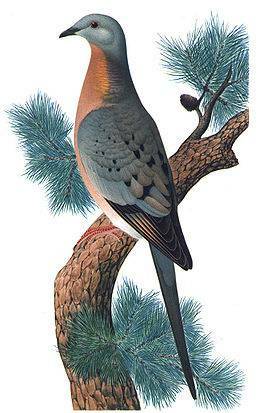 On September 1, 1914, the last known passenger pigeon, a captive-born female, died in the Cincinnati Zoo. Humanity drove this impossibly numerous species to extinction in the wild within less than a fifty year period during the second half of the nineteenth century. Indian cheetah, Aral salmon, European tarpan, Quagga (the South Africa Zebtra), wingless auk, the Carolina parakeet, the ivory-billed woodpecker, dodo, Steller’s sea cow, ostrich moa, Falkland fox, marsupial wolf and many others have disappeared on our planet forever. In most cases man kills animals or destroys their habitats. Many of the extinct species were previously an object of hunting or had been considered as harmful animals. To prevent tragedies in the future, humanity must remember the lost species driven to extinction in the past.